Want both a casual and sophisticated look this weekend? Think button-down! Are you tired of your summer clothes yet? News bulletin for some of you: it’s still summer! 😉 I imagine that this weekend (Labor Day in the U.S.) will be spent near the sea by some, on a last mini-trip by others, and for those who opt for a staycation, perhaps some sale shopping. 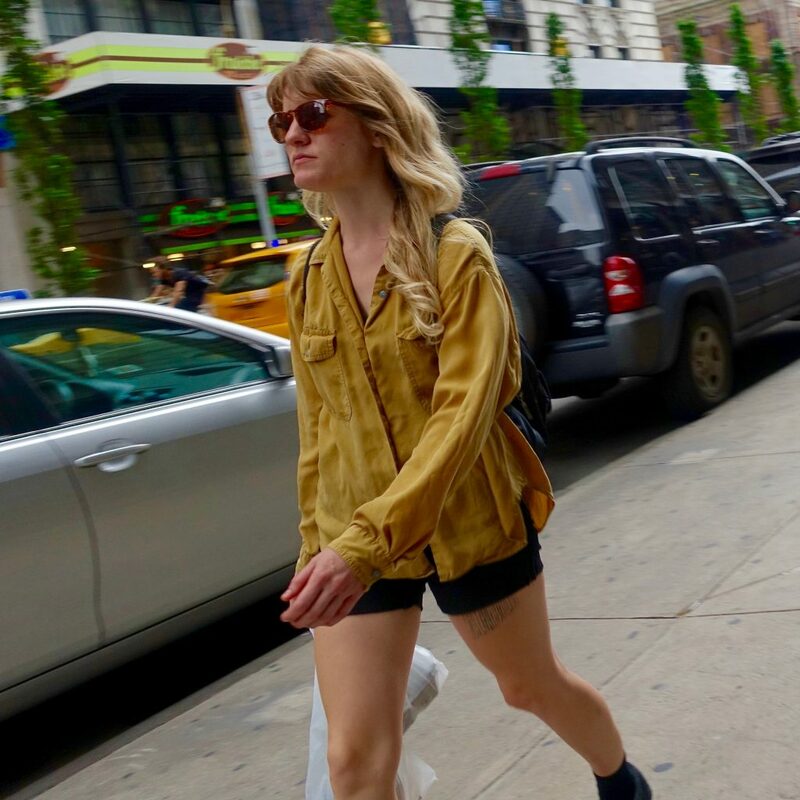 In case you plan to wear something other than a swimsuit, I thought I’d share some of my recent street photos for end-of-summer weekend style inspiration. The one piece they all have in common? The button-down! Whether it takes the form of a blouse, dress, or blouse worn as a dress, it really doesn’t matter. I think that after you’ve glimpsed these lovely muses, you’ll see that the simple act of adding a button-down – okay, I suppose simplicity does not involve ironing or a trip to the dry cleaners! – instantly elevates an end-of-summer look. Why not start with a non-conventional example: the button-down blouse worn as a skirt? With a tank top and pumps, this is a fun way to wear your or your boyfriend’s/husband’s button-down in a totally new way. Even with sneakers, a button-down wins hands down over a tee for making an outfit like the one below look more polished and pulled together, don’t you think? Of course, who says you have to iron it, or even tuck it in for that matter? You may remember this lovely lady from my post on chic summer street style in Manhattan. And a button-down is the perfect way to make a pair of overalls look completely acceptable outside of junior high school. Actually, I’d say they look very chic! Looking for a quick way to wear your distressed/destroyed denim this weekend? A button-down and pointy flats are a great way of showing a little style personality. And of course, we must not forget the white button-down, that classic closet staple, sure to elevate your weekend look. 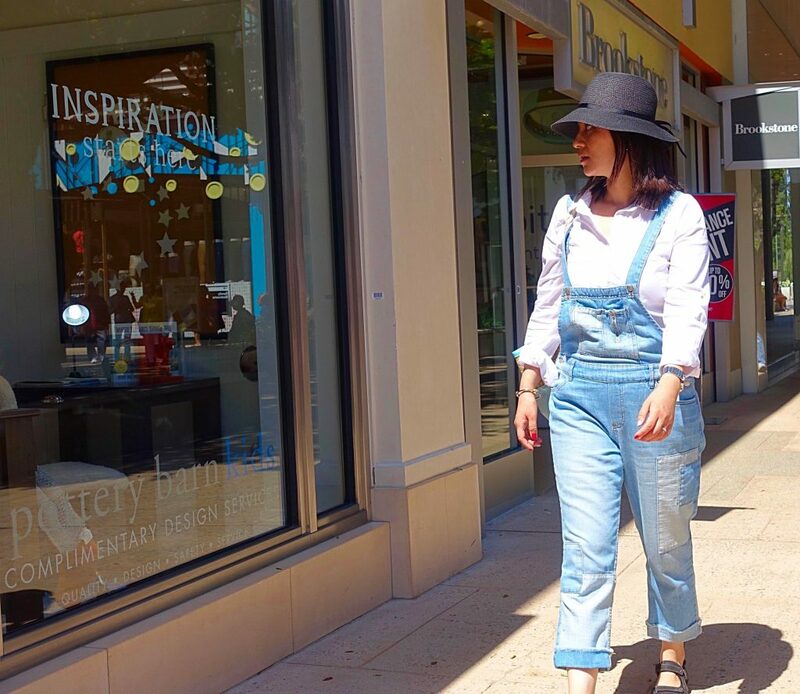 Jalisa Giron of The Style Contour modeled it for her August 31st post, which you should definitely check out for tips on other great ways to style your white button-down(s). Isn’t that easy? I’m sure that you probably have at least one button-down in your closet. If you’re packing your weekend bag right now, you might want to slip in a button-down. At the very least, it can be used to layer over a tank or crop top when the sun goes down or the rain clouds come out. Or you might just want to pick up a new one at a Labor Day sale! Have a great weekend! Great post. Love the ideas, thank you for sharing with us.